[S6] Ancestry.com, 1850 United States Federal Census (n.p. : Online publication - Provo, UT, USA: Ancestry.com Operations, Inc., 2009. Images reproduced by FamilySearch.Original data - Seventh Census of the United States, 1850; (National Archives Microfilm Publication M432, 1009 rolls); Records of the Bureau of the, unknown publish date), Year: 1850; Census Place: Aurelius, Cayuga, New York; Roll: M432_482; Page: 337B; Image: . [S30] The Auburn Bulletin, Auburn, NY, The funeral of the late Elizabeth Hollingsworth Blauvelt, wlfe of James R. Blauvelt, was tie 14 at tbe bome of her daughter, Mre. Frederick Cbeesman, No. 59 Orchard street, Sunday afternoon at 3 o'clock. 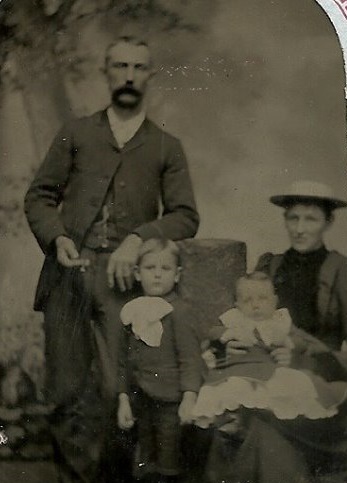 [S38] Find a Grave, online , Birth: 1865 Bruce County Ontario, Canada Death: May 1, 1929 Cayuga County New York, USAdaughter of Alfred Ditton & Mary McKay Ditton sister - Anna T Ditton #100919999 brother - James Alfred Ditton #66236331 Family links: Spouses: James R Blauvelt (1844 - 1916) Frank L Brown (1858 - 1890) Children: Raymond D Brown (1886 - 1959)* *Calculated relationship Burial: Soule Cemetery Sennett Cayuga County New York, USA Plot: West Lawn Created by: abby Record added: Nov 19, 2012 Find A Grave Memorial# 100919965. Source Citation: Registration State: Michigan; Registration County: Wayne; Roll: 2032417; Draft Board: 15. Source Citation: Year: 1900; Census Place: Aurelius, Cayuga, New York; Roll: 1012; Page: 11B; Enumeration District: 0022; FHL microfilm: 1241012. [S26] 1900 United States Federal Census, online , Year: 1900; Census Place: Mentz, Cayuga, New York; Roll: 1013; Page: 9A; Enumeration District: 0033; FHL microfilm: 1241013. [S554] Ancestry.com, U.S., Sons of the American Revolution Membership Applications, 1889-1970 (n.p. : Online publication - Provo, UT, USA: Ancestry.com Operations, Inc., 2011.Original data - Sons of the American Revolution Membership Applications, 1889-1970. Louisville, Kentucky: National Society of the Sons of the American Revolution. Microfilm, 508 rolls, unknown publish date), Volume: 84; SAR Membership Number: 16744. [S80] Ancestry.com, Biographical review : this volume contains biographical sketches of the leading citizens of Cayuga County, New York. (n.p. : Online publication - Provo, UT: The Generations Network, Inc., 2005.Original data - Biographical review : this volume contains biographical sketches of the leading citizens of Cayuga County, New York.. Boston: Biographical Review Pub. Co., 1894.Original da, unknown publish date), Biography of Peter Post Blauvelt. [S978] Ellis Cemetery, online <http://www.cayugagenealogy.org/cem/cem13.html>, Gravestone. 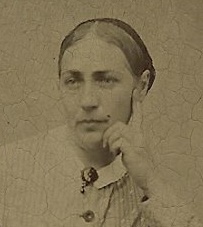 Zillah Merrill married Gideon Ellis. 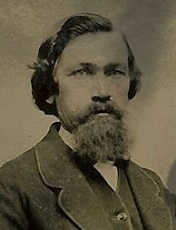 Gideon Ellis married Zillah Merrill. [S9] Ancestry.com, 1860 United States Federal Census (n.p. : Online publication - Provo, UT, USA: Ancestry.com Operations, Inc., 2009. Images reproduced by FamilySearch.Original data - 1860 U.S. census, population schedule. NARA microfilm publication M653, 1,438 rolls. Washington, D.C.: National Archives and Records, unknown publish date), Year: 1860; Census Place: Conquest, Cayuga, New York; Roll: ; Page: 832; Image: 355. [S26] 1900 United States Federal Census, online , Year: 1900; Census Place: Syracuse Ward 12, Onondaga, New York; Roll: T623_31077_4114719; Page: 4B; Enumeration District: 0128; FHL microfilm: 1241137. [S65] 1920 United States Federal Census, online , Year: 1920; Census Place: Syracuse Ward 19, Onondaga, New York; Roll: T625_1249; Page: 8B; Enumeration District: 229; Image: 495. [S11] 1910 United States Federal Census, online , Year: 1910; Census Place: Syracuse Ward 13, Onondaga, New York; Roll: T624_1057; Page: 1B; Enumeration District: 0157; Image: 283; FHL microfilm: 1375070. 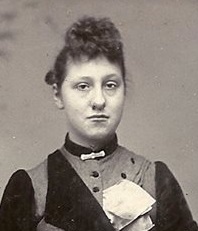 Sophia Feek was born circa 1828 at Cayuga, New York, USA.1,3 She married Abram Johnson. [S9] Ancestry.com, 1860 United States Federal Census (n.p. : Online publication - Provo, UT, USA: Ancestry.com Operations, Inc., 2009. Images reproduced by FamilySearch.Original data - 1860 U.S. census, population schedule. NARA microfilm publication M653, 1,438 rolls. Washington, D.C.: National Archives and Records, unknown publish date), Year: 1860; Census Place: Throop, Cayuga, New York; Roll: ; Page: 68; Image: 582. [S26] 1900 United States Federal Census, online , Year: 1900; Census Place: Tyre, Seneca, New York; Roll: T623_31077_4114749; Page: 9A; Enumeration District: 0097; FHL microfilm: 1241162. [S11] 1910 United States Federal Census, online , Year: 1910; Census Place: Montezuma, Cayuga, New York; Roll: T624_928; Page: 10A; Enumeration District: 0049; Image: 825; FHL microfilm: 1374941. [S44] Town of Montezuma Records, online http://web.archive.org/web/20020215005729/http://…, (Waybackmachine), Johnson, Evangeline Dec 1, 1911 56-9-15 N. Y. Oscar Chapman Youngs.